Pulkovo Airport (Russian: Аэропорт Пулково, Aeroport Pulkovo) (IATA: LED, ICAO: ULLI) is an international airport serving Saint Petersburg, Russia. It consists of one terminal, Terminal 1 which is located 23 km (14 mi) south of the city centre. 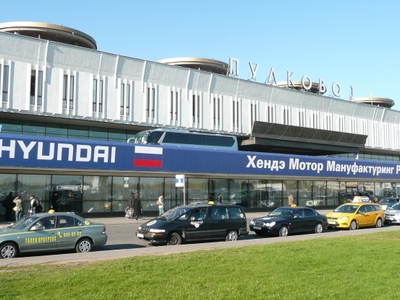 The airport serves as a hub for Rossiya Airlines (formerly Pulkovo Aviation Enterprise), and as focus city for Nordavia. Pulkovo International Airport is responsible for serving the citizens of Saint Petersburg, as well as the Leningrad Oblast: a total of 6,120,000 people. Pulkovo Airport was officially exploited on June 24, 1932, as a state-owned domestic airport. In 2013, 12,854,366 passengers (a +15.6% increase from that of 2012) traveled through Pulkovo airport, making it the 3rd busiest airport in Russia and Post-Soviet states. 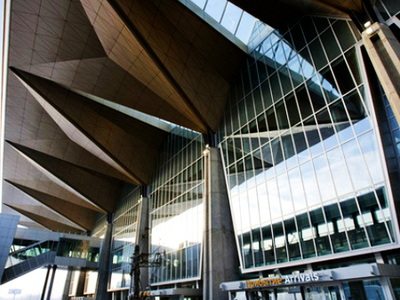 Pulkovo had a passenger traffic rate of 9,874,941 (+12.6%) as of September 1, 2014. 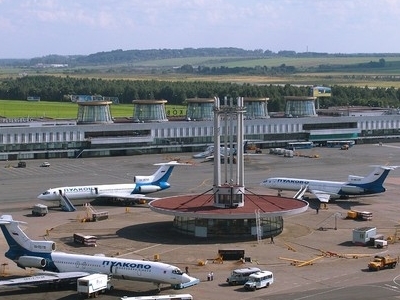 The airport holds the title of being one of the largest airports in Russia and Eastern Europe. Here's the our members favorite photos of "Airports in Saint Petersburg". Upload your photo of Pulkovo Airport!